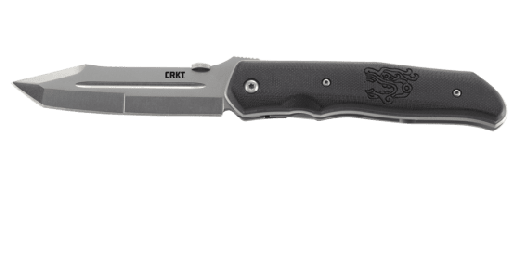 Designed as a utility backup knife for police or EMT, this at-the-ready fixed blade is equipped with life-saving extras. Mow through belts, break glass, save lives. 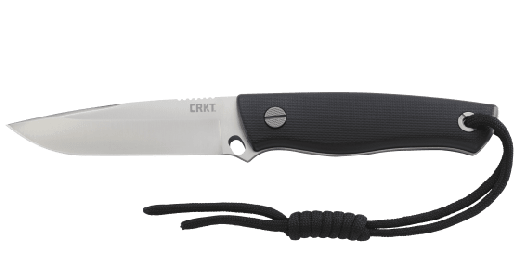 Designed as a utility knife for emergency professionals, this is an at-the-ready fixed blade equipped with life-saving extras. Mow through belt straps, break glass, open oxygen tank valves, save lives. Bob Terzoula of Albuquerque, New Mexico is widely regarded as the father of tactical folding knives. When local highway patrol members asked him to design a tool they could attach to their body armor and always have at the ready, he was happy to oblige. Thus, the Terzoula HWY Rescue™ knife was born. The skeletonized handle and the stainless steel blade feature a bead blast finish and are strong and lightweight. The handle incorporates an 02 wrench for taking on those valves when time gets tight and you need to release the oxygen. The sheath features a passenger side window glass-breaker for making an impact when time is running out. The durable glass-reinforced nylon sheath is also equipped with an industrial strength VELCRO® back and a seat belt strap cutter with two replacement blades. Attach the Terzoula HWY Rescue™ knife to the front of your kit and get more than a backup blade—get the peace of mind that you’re ready for whatever an emergency situation can serve up. VELCRO® is a registered trademark of VELCRO Industries B.V.
Look up “tactical folding knife” in the dictionary and you’re likely to see Bob’s picture next to it. 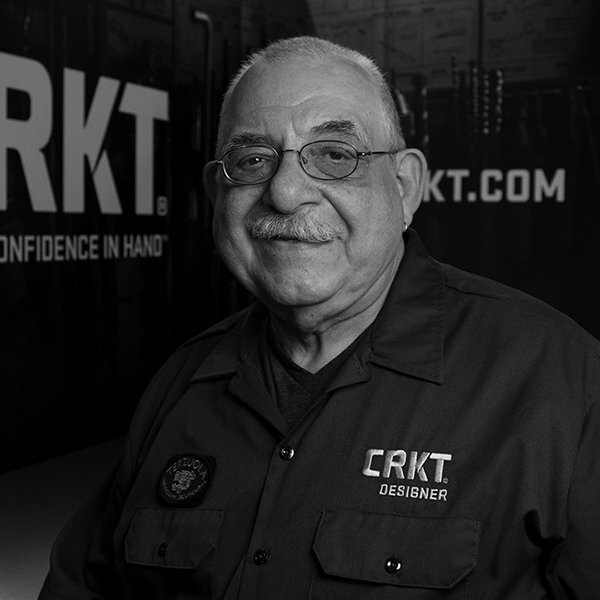 After all, he virtually invented the category and continues to specialize in knives for professional use, like the BT-70™. Born in New York, he had many adventures before settling into design in the early ‘80s. In 1981 he joined the Knifemakers’ Guild and that was all she wrote.